You can choose between one of the below FREE walking tours. Open from 10am to 5pm (except Thursdays, which have an 11am open). 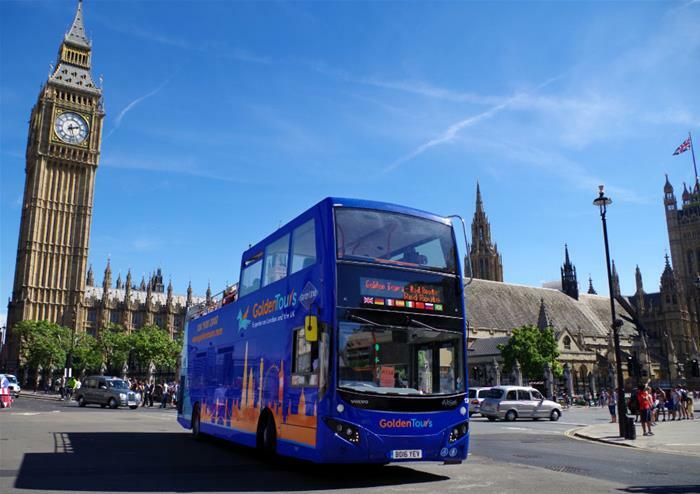 Enjoy a panoramic tour of London onboard our open top buses. Showcasing the very best of London, this beautiful tour will drop you to the doorstep of the capital’s most famous landmarks. With unlimited hop-on hop-off for 24 hours, you’ll get to take advantage of the 3 different routes and over 60 stops. Hop-off at the formidable Tower of London, home to the Crown Jewels, visit the historic Westminster Abbey and see Poets’ Corner and the Coronation Chair, walk up to the golden gates of the Queen’s royal residence of Buckingham Palace and many more. Learn more about this wonderful city’s rich history with onboard audio guides provided throughout your tour. Exploring London on foot is one of the best ways to see the city up close! Discover the Royal Family’s favourite places to escape in the capital or see where The Beatles worked and played. Take a ride on London’s world-famous London Eye. Taking you 135 metres above ground level, you’ll get to soak in the most glorious views of London. See St Paul’s Cathedral, the Houses of Parliament, the Shard and many more. 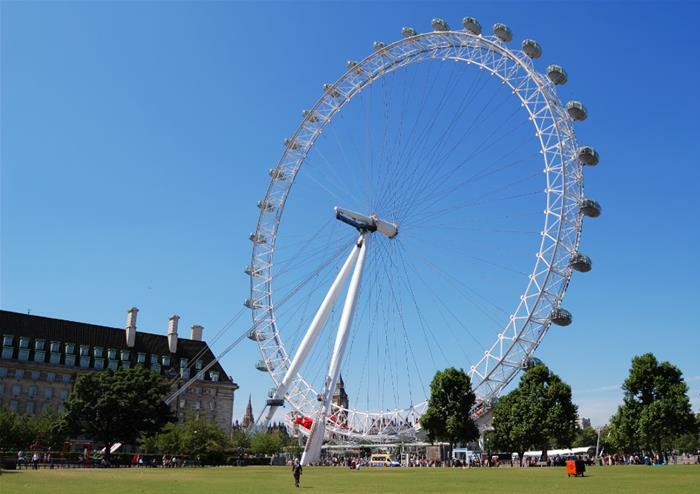 You’ll also get to enjoy the special effects of the 4D London Eye experience. 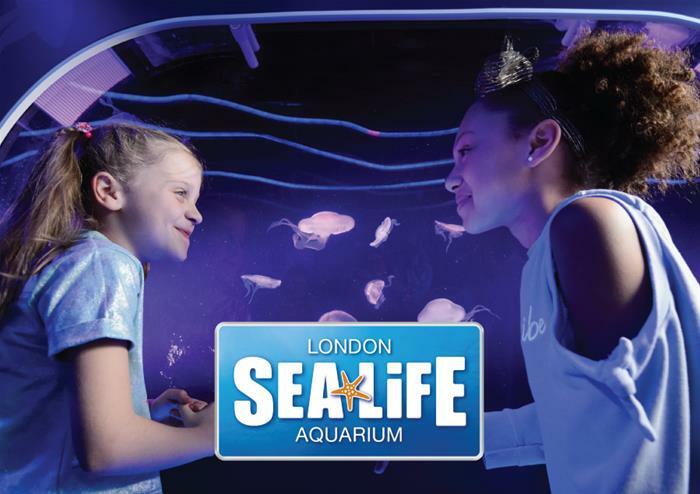 Visit the fascinating SEA LIFE London Aquarium on the city’s Southbank. Brimming with underwater creatures, you’ll get to see and discover it all. From penguins to stingrays, the aquarium is full of beautiful aquatic species ready for you to learn more about! Mingle with the celebrities at London’s famous Madame Tussauds. From your favourite A-list movie stars like Angelina Jolie to the most iconic musicians of all time with the likes of Michael Jackson, you’ll get to take a selfie (or two) with them all. 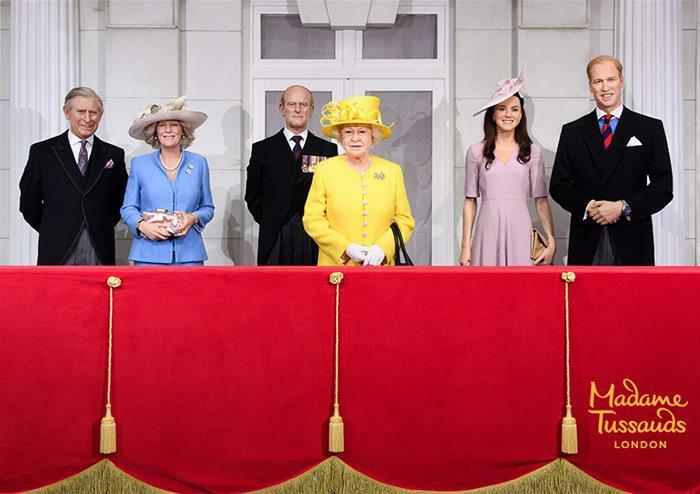 You’ll even get to meet the Royal Family waxworks with Queen Elizabeth II at the forefront – unmissable! 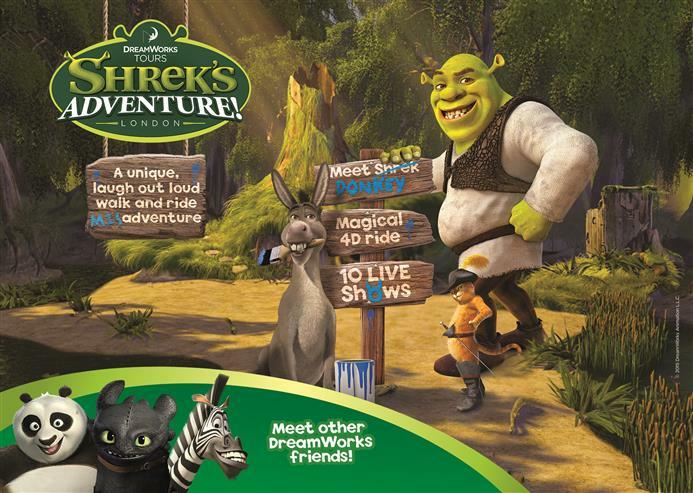 Perfect fun for all the family, DreamWorks Shrek’s Adventure brings all of your favourite Shrek characters to life. Experience the magic of Far Far Away and see Donkey, Princess Fiona and of course, Shrek himself! You must visit Madame Tussauds first out of the 5 attractions. Children up to 15 years of age will not be permitted to enter the attractions unless accompanied by an adult. *Free River Thames boat ride valid for 24 hours from when you first hop-on the boat with unlimited usage within the 24 hours. Only to be used between Westminster Pier & St Katharine's Pier.